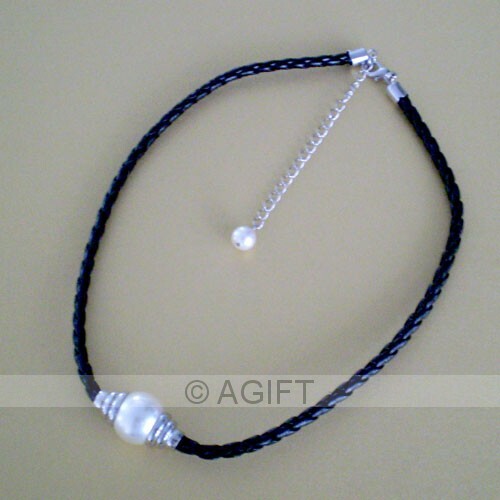 An elegant contemporary design necklace, featuring a single cream pearl on a black braided necklace. For a casual smart look, dress it with a white shirt and jeans. Or, for a special look, dress it with your fave 'little black' dress. 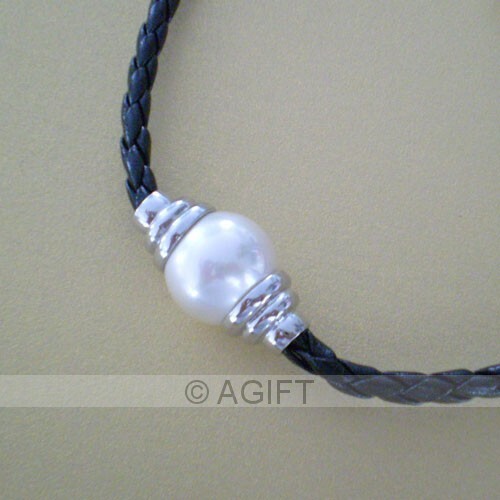 Simply beautiful....you'll love this piece. Presented in a gorgeous black gift box.